The Labour Party has promised that it would repeal the lobbying act if it came into power at the next election. The party said it would revoke the Transparency of Lobbying, Non-party Campaigning and Trade Union Administration Act 2014 and consult charities and campaigners about what laws should be introduced to replace it. The act, which gained royal assent in January, introduced caps on the amounts that organisations can spend on campaigning on issues that could be perceived as party political in the run-up to elections. Charities are concerned that the legislation could prevent them from speaking out during election periods. 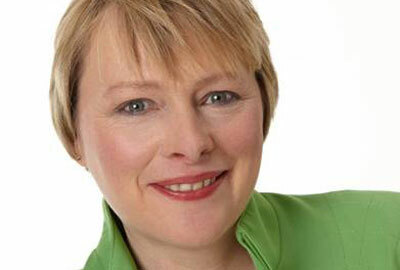 Angela Eagle, shadow leader of the Commons, said on Thursday that her party would repeal the act and replace it with a universal register of all professional lobbyists backed by a code of conduct and sanctions. "The Tory-led government’s gagging law is an illiberal attack on our democracy," she said. "It was cooked up in a shabby deal between David Cameron and Nick Clegg. It lets vested interests off the hook, and it gags charities and grass-roots campaigners who want to hold the government to account for their broken promises at the next election." She said that Labour would do "what Cameron and Clegg didn’t – consult with charities and campaigners about how to ensure transparency in our elections while protecting freedom of speech". Eagle told Third Sector in February that Labour was committed to "undoing the damage" of the lobbying act, but stopped short of saying that her party would repeal the legislation. She was responding to a call from Sir Stephen Bubb, head of the charity chief executives body Acevo, who wrote to the leaders of the three main political parties urging them to repeal part 2 of the act – which contains the sections charities are most concerned about – as part of their manifestos for the 2015 general election. Asheem Singh, director of public policy at Acevo, welcomed Labour’s pledge. "The lobbying act by any definition is bad law and seriously risks chilling legitimate democratic debate before a general election," he said. Acevo would continue its campaign against the act as long as it was in place, he said. "We now urge other political parties to acknowledge the mistake this act represents and commit to repeal this bad law too," he said. Brian Lamb: Lobbying is crucial to our sector, so why no 'institute of campaigning'?